"The Pluto system is enchanting in its strangeness, its alien beauty," Stern said Tuesday (July 13) during a NASA news conference. 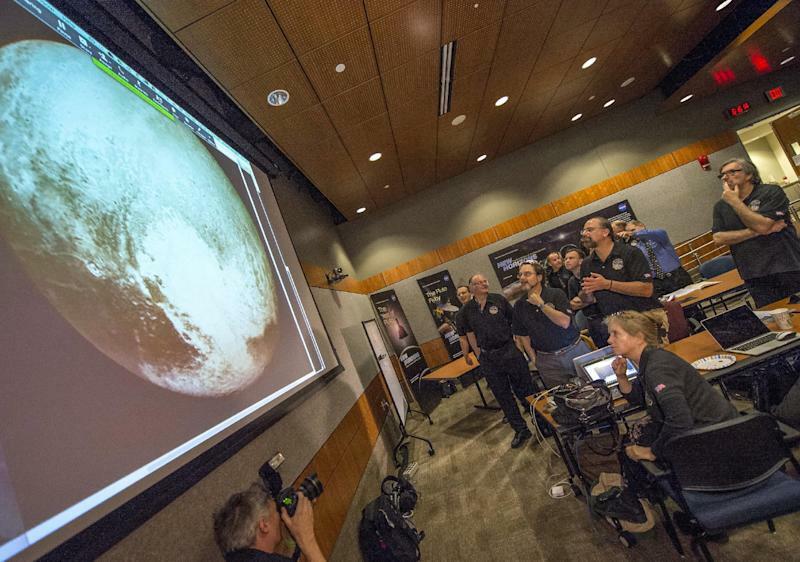 "We are already seeing complex and nuanced surfaces that tell us of a history for these two bodies [Pluto and Charon] that is probably beyond our wildest dreams on the science team." "Formally, we're able to set model limits at around 1 in 10,000 [odds] that the spacecraft will be lost due to a debris strike," Stern said during Tuesday's news conference. "But we've also been very honest that we're flying into the unknown. This is the risk you take with all kinds of exploration." 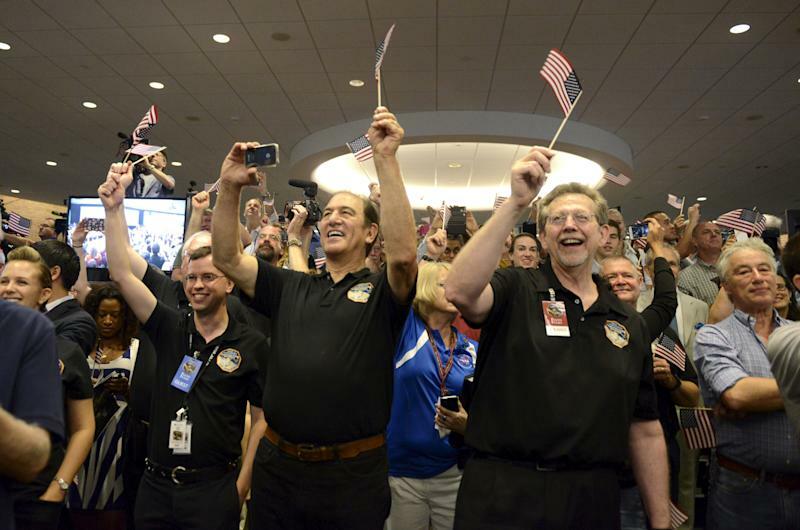 "From the science perspective, we're entering this whole new realm of the solar system," former astronaut John Grunsfeld, associate administrator of NASA's Science Mission Directorate, said during Tuesday's briefing.